We are delighted to invite you to participate in our exciting events we are hosting at the Artscape Theatre from 28 to 30 September. ‘The Making of a Criminal: Part 2' is a compelling live performance, created and performed by inmates from Pollsmoor Correctional Centre and participants from the NICRO Help I am Free cultural development outreach program. The performance reveals a glimpse of the hidden artistic, musical, and poetic talent found in the prisons of the Western Cape through the efforts of NICRO's Help I Am Free rehabilitative theatre project, in collaboration with Vardeteateret, supported by FK Norway. Participate in a series of short discussions on the society that creates criminals and gangs. Keynote speakers Alex Sutherland, Don Pinnock and Chiedza Chinhanu will also explore the impact of theatre work in prisons. Facilitator: Associate Professor Veronica Baxter, Drama Department, University of Cape Town. 29 September @ 4h30pm: Isibaya Room, Artscape. Exhibitions by organisations supporting inmate rehabilitation, small businesses established by former offenders and other creative enterprises. The outreach program is financed through Help I am Free and NICRO's crowdfunding campaign. Give a voluntary contribution here. Thank you to all our sponsors and partners for making this event and programme possible. South Africans who have a criminal record are most likely to face significant barriers in their reintegration and full participation in the society. NICRO has found that securing full time employment is one of the greatest difficulties for former offenders. There is a serious lack of empirical evidence on recidivism in SA, but estimates have been made of between 66-95% return to prison (McAree, T. 2011; Schoeman -2003 in Van Wyk 2014:15). Employment is a key factor in the reintegration or offenders and a resource for turning the lives of ex-offenders, their families and society around, YET it is the most elusive! Harsh and punitive attitudes of society can be a key factor. Shut off from legitimate job opportunities, former offenders may resort to illegal ways to survive. A stable family life can provide an ex-offender with the support and encouragement to stay crime-free, but relations with family members are often strained due to former offenders not being able to bring in income. 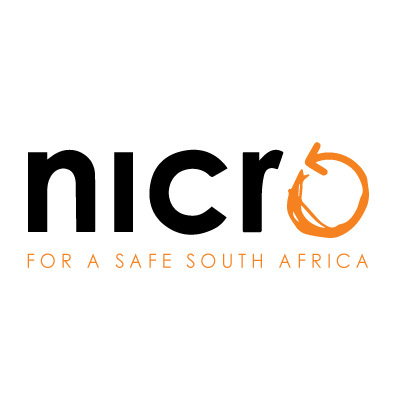 On the 17th March 2017, in commemoration of Human Rights month, NICRO partnered with the Western Cape Government -Department of Labour to host a seminar entitled “ Equal opportunity for work-seekers at risk,” looking particularly at discrimination in employment for those work-seekers with a criminal record. The purpose of the session was to promote Public Employment services in terms of the fair selection and recruitment practices within the realm of equal opportunities; to ascertain some of the practical difficulties faced by employers and employees when a person with a criminal record seeks to participate in the workplace, and to seek the views and ideas of all stakeholders as to what needs to be done to eliminate instances of discrimination and increase the intake of former offenders. The source document upon which the discussion centred was on information drawn from the United Nations, Human Rights and Equal Opportunity Discussion paper, December, 2004, on, “Discrimination in employment on the basis of a criminal record.” There had been a significant number of complaints to the Human Rights and Equal Opportunity Commission in recent years from people with a criminal record alleging discrimination in employment. The complaints also indicated that there is a great deal of misunderstanding by employers and employees as to what amounts to discrimination on the basis of criminal record. The principle of non-discrimination is all about removing stereotypes and allowing individuals to participate fully in society on the basis of their individual merits rather than be judged by the characteristics that are attributed to them through generalizations. It is about ensuring that they have the same opportunities as others to participate in society. In South Africa, employment practices appear to show a standard blanket criminal record prohibition in employment. A person may apply for a job, but as soon as they declare they have a criminal record, they are likely to be automatically disqualified from proceeding with the application. According to the UN document, like many other areas of discrimination, the issue of discrimination on the basis of criminal record involves a careful balancing of rights. On the one hand former offender have served their time and paid their debt to society. They have the same right to seek employment as any other member of the community. On the other hand, there may be certain circumstances where a person with a particular criminal record poses an unacceptably high risk if he or she is employed in a particular position. The UN Commission’s position is clear that in order to determine whether it is appropriate to exclude people with criminal records from certain areas of employment, the inherent requirements of a particular job must be identified and there must be careful consideration about whether a particular persons criminal record would disqualify him or her from properly meeting these requirements. NICRO is keen to form partnerships to address this issue. Imagine a South Africa where every at-risk underprivileged youngster has the opportunity to reach his or her full potential. A South Africa in which the starting line for each youngster is at the same point from the finish line, and in which each has the same quality and quantity of training in preparation for the race. Today, with most economists agreeing that South Africa is the most unequal country in the world, this utopian dream seems as out of reach as it was 41 years ago, when Hector Pieterson and at least 175 other youngsters died for similar ideals. At NICRO, we deal with the social consequences of that inequality on a daily basis. The childhood profile of the average juvenile offender we work with is something like this: born into a poor and broken community, dysfunctional parental influences (with parents either working far away or simply absent, whether literally or metaphorically), exposed to emotional, physical and/or substance abuse and violence from a young age, inappropriate male role models (family members who are gangsters, criminals and/or addicts), lack of structure and discipline in the domestic environment, lack of play and creative physical spaces, and the product of a sub-standard education system that is neither designed nor able to plug all the gaping holes in that child’s survival armour. What chance does a youngster have to make it with that sort of start in life? It is at this tipping point that NICRO’s Youth Justice Programme intervention is critical. Armed with the newly-acquired social skills and tools (which many of us take for granted as a product of a normal childhood), vulnerable youngsters are empowered to choose to change their lives for the better. Not all of them do: some go back to the safety of what they know, and perpetuate a lifetime cycle of crime and imprisonment, with the negative cumulative impacts on their families, communities, taxpayers and society at large. But the majority of NICRO’s juvenile offender clients do choose to beat the odds, and make different decisions, better decisions. They choose to rewrite their life stories. So successful are our juvenile offender interventions that NICRO is advocating for national-scale, similarly-designed psycho-social behaviour change interventions for at-risk youth, way before they enter the criminal justice system. NICRO believes that a specialised and intensive focus on life skills (defined by WHO as ‘abilities for adaptive and positive behaviour that enable individuals to deal effectively with the demands and challenges of everyday life’) is a critically important component of a holistic education. Without it, we are setting up our youth to fail. Science and maths alone will only take them so far. Turning that knowledge into successful income generation and a stable family and community life requires an investment in their personal development, equipping them to deal with the multitude of perils an underprivileged young adult faces in South Africa. Crime costs South Africans about R1.84 trillion a year, or roughly R34,160 per citizen (Institute for Economics and Peace, 2016). Large-scale investment in youth life skills (so it becomes a well-resourced, foundational tenet of national education policy) is a cost-effective and efficient way of reducing this economic burden. It is also a cost-effective means of beginning to address the rampant inequality gnawing away at our dreams of national prosperity, and of equipping current and future generations of youth to reach their dreams and achieve their full potential. Again, imagine a South Africa where every at-risk underprivileged youngster has the opportunity to reach his or her full potential. Belinda Bowling is NICRO’s Head of Business Development and Marketing. What is Early Childhood Trauma? Bad stuff happens in life. It could be something that cannot be controlled like a natural disaster or the death of a loved one, or it could be intentional actions, like physical and emotional abuse. Events such as a car accident or drug abuse in a parent can be extremely traumatic for a child. No matter how hard some children try to cope with these traumatic situations, sometimes they cant get passed them. An experience may play over and over again in their minds and leave them feeling fear and loss of control over their lives. 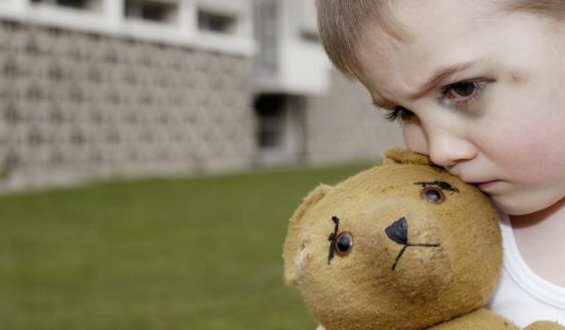 For some children, these feelings can affect their development physically, emotionally and socially – this is childhood trauma. If these children who are affected by trauma are left unattended, it can have long-term negative effects on their lives. Luckily you can help, contact NICRO if you know of someone suffering from childhood trauma and get them what they need to recover. When can you turn to get help? Click HERE! Feeling sad sometimes is a normal part of life, but most people get over these feelings in a few days or weeks. However if these symptoms won’t go away this is called depression. Sadness. A feeling of hopelessness and emptiness that will not go away, no matter how hard you try. You may find yourself crying for no reason. Guilt. 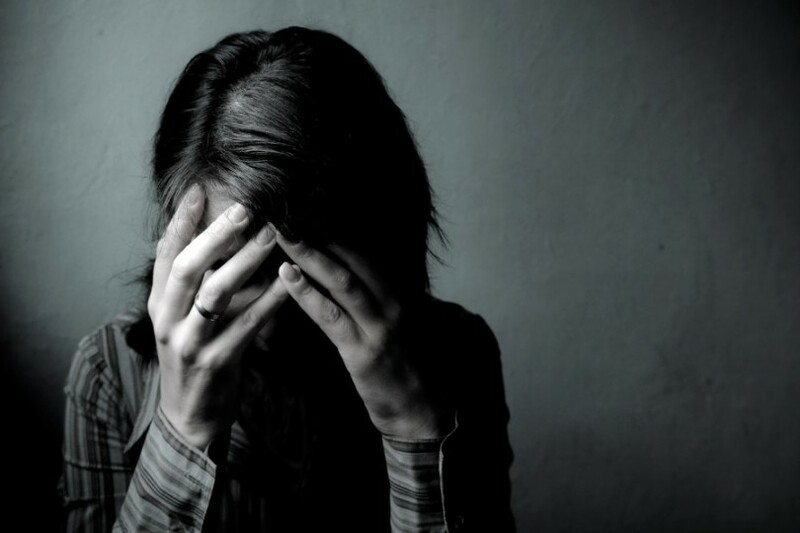 People who suffer from serious depression often feel worthless and helpless. They might put themselves down because they see depression as a sign of weakness. Irritability. Males who suffer from depression show their feelings through aggression, anger and reckless actions. Mental Symptoms. Depression may make you feel like you’ve slowed down, because you have problems concentrating, remembering things and making decisions. Physical Symptoms. If you have aches, pains, headaches and even digestive problems this could be the result of depression, especially if these health issues do not have any medical cause. Loss of Energy. Depression often makes you feel apathetic, limp and tired all the time. Loss of Interest. A common sign of depression is when you lose interest in activities you once enjoyed such as hobbies, socialising and even romantic partnerships. Sleep Changes. Waking up too early, too late or not being able to sleep can all be symptoms of serious depression. Appetite Changes. If you lose or gain more than 5% of your body weight in as little as a month, this is a warning sign of depression. Most people turn to food when they are depressed and will either eat too much or too little. Suicidal Thoughts. Having thoughts of harming yourself is a serious symptom of depression and always needs to be taken seriously. If you’re thinking about suicide, you need to get help immediately. Depression shouldn’t make you feel shame or weakness, it is a serious issue that can be helped. NICRO is a non-profit organization committed to turning lives around – contact NICRO today and get help! The holidays are supposed to be a time of joy and cheers; however there are a number of crimes that increase during the festive season. It is believed that these crimes increase because people become more relaxed during this time, and they have more money. Shoplifting – This is a common occurrence during the holidays, and the police will tighten up security to discourage criminals from attempting to shoplift. If you are charged with shoplifting the penalties can vary depending on what you steal, but either way it is still a serious crime. Identity Theft – Every year more and more people shop online, this is how scammers trick you into giving out your personal details or hackers infect your PC with malicious software. Be sure to do a scan before and after doing any online shopping. Also be aware of spam emails. Burglary – While some criminals may watch you for a while to see when you are leaving to go on holiday, these days it is so much easier to just go onto social media and check someone’s status or holiday pictures. Be careful when you leave town, ask a friend to housesit and NEVER post information about your trip on social media. DUI – Drinking and driving is a serious crime! Every year thousands are killed on the road, and even more during the festive season. The holidays mean Christmas parties, yearend functions and New Year’s parties, and this usually means the alcohol will be flowing. Be careful and don’t drink too much eggnog. You don’t want to be the one who ruins someone’s life during the holidays. If you are facing charges or you’re worried about a loved one and their actions – NICRO is here to help. NICRO is committed to turning lives around and giving people second chances, do not hesitate to contact NICRO today! Take a look at NICRO’s basket of services here, or do your part and make a donation. Abuse is a serious issue and when it comes to the elderly, you'd be surprised how often they are the victims. Why? Because they are the least likely to fight back! Physical abuse is the act of hurting someone physically. This could mean hitting, punching or kicking someone, or it could mean neglect and lack of care. Sexual abuse is the act of giving someone sexual attention that they do not want. This is a problem in nursing homes as the elderly often cannot defend themselves. Psychological abuse is the act of screaming, shouting or humiliating someone to the point where they feel shame. Financial abuse is the act of taking advantage of someone’s financial matters, such as stealing. This could be by directly stealing from them or stealing from their bank account. Signs like these should be investigated, even if a person has not been the victim of nursing home abuse, it is better to be safe then sorry! NICRO is committed to turning lives around. Visit the NICRO website and browse through the available programmes and services. Or do your part and make a donation today!